October brought several great apps, including the Bean’s series, education 123 da Gabi, the funny I Feel Super and two new adventures from August App of the Month winner François Walter. 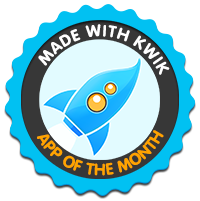 Congratulations to all submissions and thanks for keep trusting in Kwik to share your passion with others! We are happy to announce that Have You Head, by Yoozoo Books, is the winner of our contest in October! 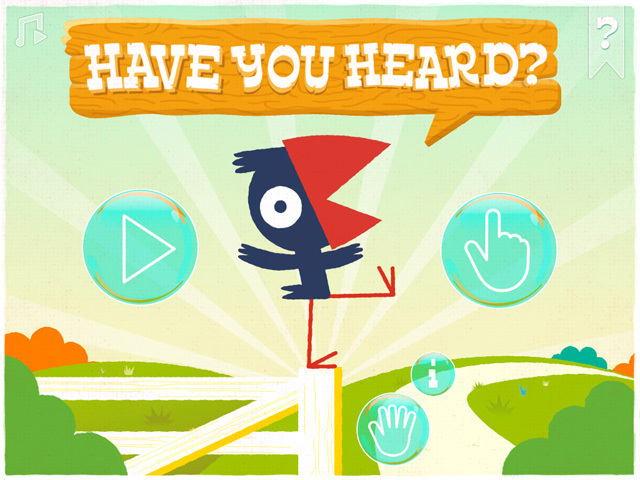 Have you Heard is an incredible storybook which shares what happens when (words from the author) Farmer Blue came clattered off past Peko on his way into town to pick up a few things. But when Peko tries to tell Summer what those few things were, he gets them all mixed up. Summer does the same when she relays it to Hamilton. By the time this grapevine winds its way full-circle around the barnyard, Farmer Blue’s news has grown into a far out tale of giant moon pumpkin proportions! The app offers several ways to appreciate and interact with the content, including a small game. The illustrations and sound are professional, enhancing a lot the storytelling. We loved it! As the reward, the app will receive a review/rating from Digital Storytime. When it is done, we will share the link with our community. Congratulations Julian and the team behind Yoozoo Books!